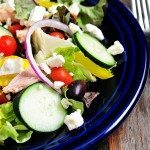 This Spinach Romaine Salad recipe makes a delicious welcome to spring! 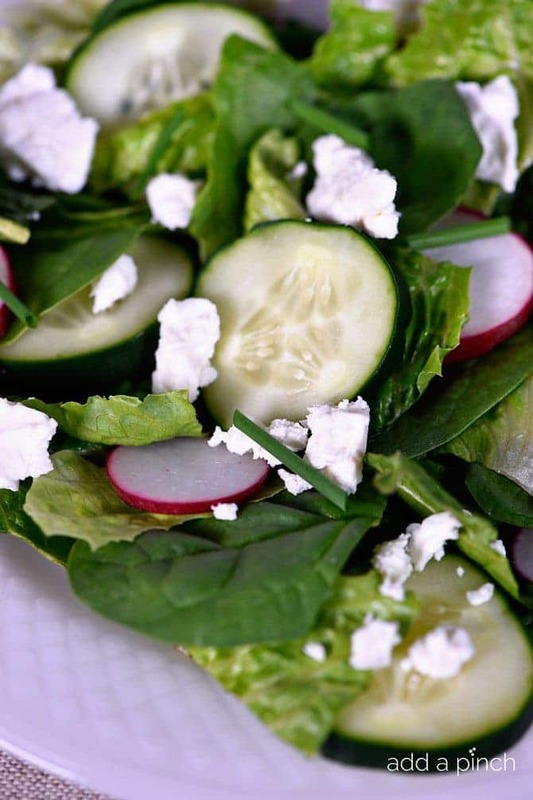 Topped with radishes, cucumbers, feta, and chives, it is sure to be a favorite! We just returned home from our Spring Break trip to Disney and let’s just say that I am so ready for fresh spring salads! We were constantly on the go throughout the week – from visiting each of the parks, a little side adventure of indoor skydiving for the boys (I’m not that adventurous), and visiting so many of our favorite spots! I’d love to say that this week is all about getting back in the groove, but I’m headed to Charleston later this week to start the photos for The Add a Pinch Cookbook. That means that simple, fast and family-friendly recipes are definitely on my meal plan for the week! 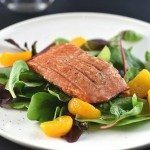 And last week, Joscelyn emailed me and requested more salad recipes, so I thought this would be a perfect one to share! This spinach romaine salad packs plenty of flavor, crunch, and even creaminess from the addition of the feta. The radishes give it a little peppery kick and the chives just make it sing, I think. But, the best part is how quickly it all comes together. Ready and on the table in less than 15 minutes, it is definitely a win/ win this week! 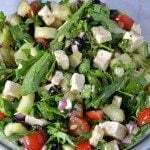 If you’d like to make a big batch of this salad to last through the week, it works great. You can even portion them into individual servings and store in airtight containers so they are ready to grab and go for the day! 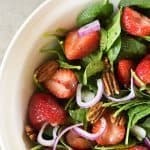 I served this spinach romaine salad with my balsamic vinaigrette dressing recipe, but you can use your favorite. 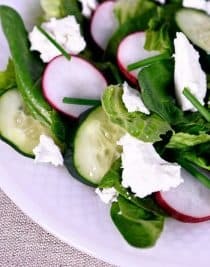 Here’s my Spinach Romaine Salad Recipe with Radishes and Chives. I hope you love it as much as I do! 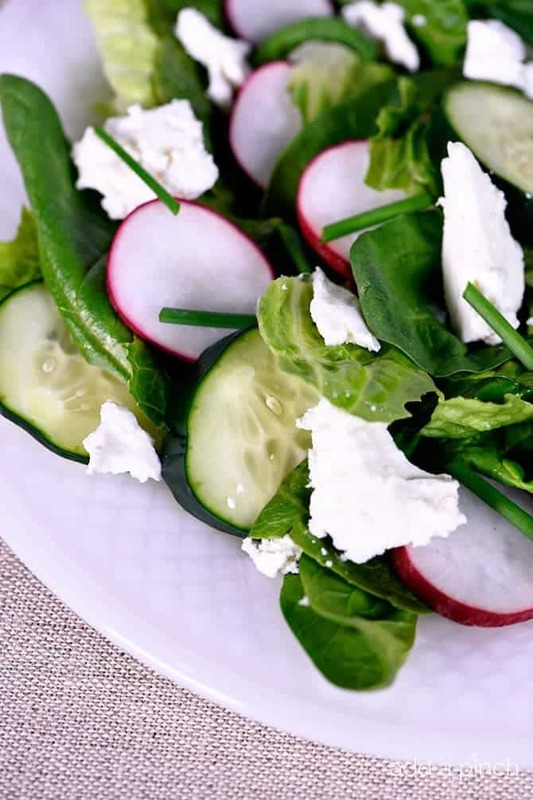 Toss together spinach, romaine lettuce, radish slices, and cucumber slices in a large bowl. 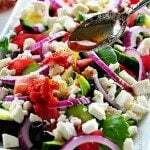 Top with chives and feta cheese and serve with dressing. 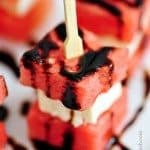 I am SO excited about your cookbook, Robyn!!! Can’t wait, can’t wait, can’t wait! 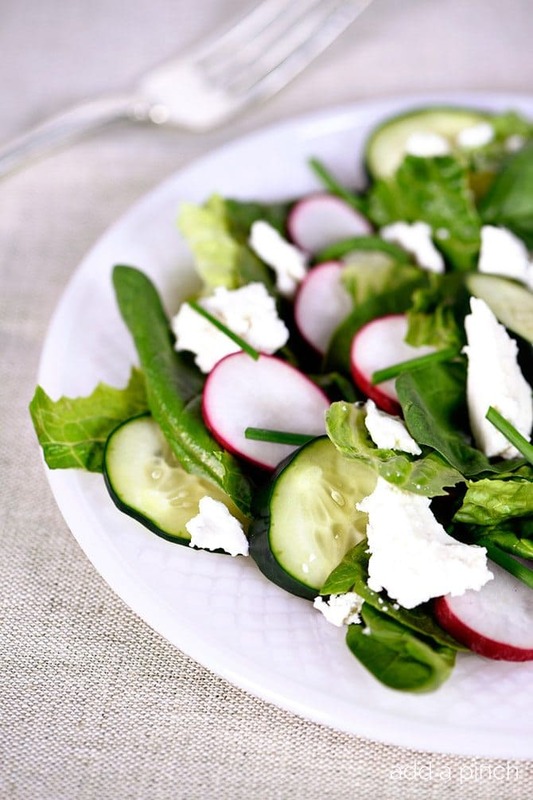 And in the meantime, this salad looks like the perfect plate full of spring deliciousness. Happy spring! !